A woman who received a house from the EFF near President Jacob Zuma's controversial Nkandla homestead is far from destitute. A woman who received a house from the EFF near President Jacob Zuma's controversial Nkandla homestead is far from destitute, the Sunday Times reported. 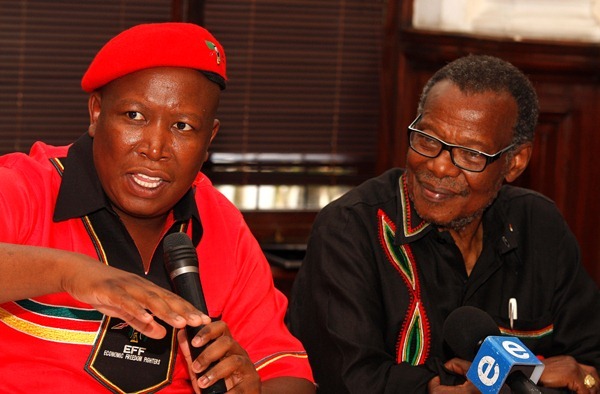 On January 11, Economic Freedom Fighters leader Julius Malema attended a ceremony in Nkandla to hand over a house his party built to S'thandiwe Hlongwane and her children. The newspaper reported that Hlongwane is married to a senior archivist at the KwaZulu-Natal department of arts and culture, who earns about R250 000 a year. Hlongwane and her husband, Lucky Nene, own at least two other properties and a VW Polo and a Toyota Hilux. Nene said he tried to seek advice from Zuma, his wife Sizakele Khumalo, a local chief and the local ANC councillor, before his wife accepted the house.